In today's world, along with constant technological advancements, the options available to manage a business are growing in leaps and bounds, more so when it comes to Enterprise Resource planning (ERP) or Financial Management. In such a scenario, the role of a proficient NetSuite Consultant becomes indispensable, as he/she is the person who would guide you as to which solution is the right fit for your business or how it should be deployed in your organization to achieve optimum results. There are primarily three types of implementation options when it comes to ERP software. On Premise: In this kind of deployment, software is installed on the computers of the office premises. Partner Hosted: In this type of deployment, data is hosted on the ERP partner's cloud and could be accessed on any computer from anywhere through the internet. Vendor Hosted: A third party application service provider provides the required hardware and software as a turnkey solution. If you're already running an on-premise ERP and wondering if it's the right time to shift to a cloud based ERP system, then consider the following five pointers before taking the leap. Do different verticals in your organization use different software to keep track of their processes? For example, one software for the accounting team, one for the sales and another for the warehouse? If your answer is yes, then it's time to make the shift to a cloud based ERP software such as NetSuite Cloud ERP, which is capable of integrating every vertical within a single platform resulting in more efficient channeling of the business processes within an organization. Maintaining data spreadsheets and updating them manually may be economical, but it also means missing out on essential business intelligence for the lack of assimilation of data from various channels and making sense of it in real time. NetSuite ERP implementation would not only integrate different verticals under one umbrella but would also make sense of the dry data at hand resulting in enhanced business intelligence. Those organizations relying solely on ERP systems are missing out on something, i.e. Customer Relationship Management or CRM. While it is technically possible to keep and maintain pipeline and sales forecasts manually, it is a cumbersome and time consuming affair as well. On the other hand, NetSuite ERP accounting seamlessly integrates everything under customer relationship management such as marketing, sales force, customer support and service. Is your outdated ERP software holding you back from upgrading to a better and feature rich operating system? 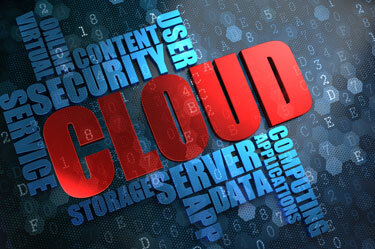 Move your ERP to the cloud. It would not only reduce your IT expenses but would also eliminate system incompatibilities. If you are fed up with updating software and applying patches now and then, moving on to the cloud based NetSuite ERP System, would just be the solution for you. Whether you are looking to implement a new ERP system or upgrading it, our team of NetSuite consultants at inspirria Cloudtech is always there to help you out and be a part of the success story of your business.